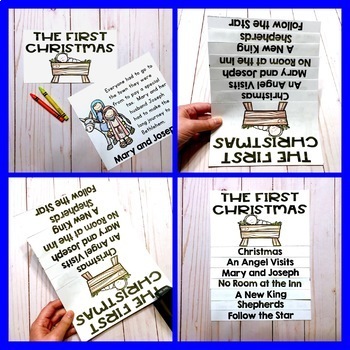 Nativity seven page flip book about the first Christmas. 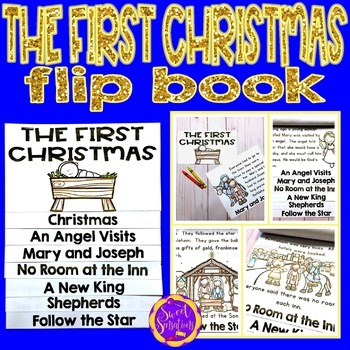 This flip book is about the Christian story of the birth of Jesus. 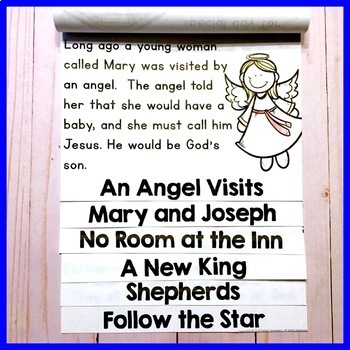 It is written in easy language to give a simple overview of the nativity. 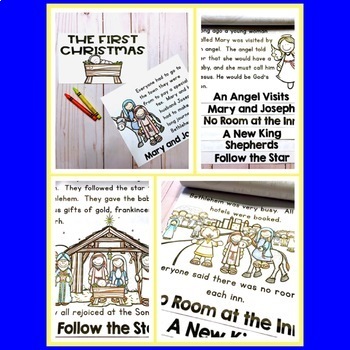 Click here for more holiday crafts and activities! Products are reduced for the first 24 hours after uploading. Don't miss out! Follow the green star for my store, Sweet Sensations and leave a rating, and like my Facebook page to stay in the loop!